The Glen of Imaal Terrier is a terrier dog bred to hunt foxes, badgers and rodents in the narrow valleys of Ireland's Wicklow Mountains called Glen of Imaal for which the terrier breed name is derived. The Glen of Imaal, Glen for short, is a big dog on short legs or a dwarf breed, standing 30 to 36 centimetres at the withers while weighing 35 to 40 pounds. It is a calm and even-tempered breed that is less vocal compared to most terriers. Its easy-going personality makes it an ideal companion dog for families and the elderly. Do you find the quiet Glen of Imaal Terrier unique and interesting? Here is a brief background of this terrier dog breed. The Glen of Imaal Terrier was actually named after a place where it was developed, a remote valley in the western Wicklow Mountains of Ireland called Glen of Imaal. Its creation is a result of a rebellion in Ireland in 1798. After Queen Elizabeth I hired French and Hessian soldiers to put a stop to the rebellion, many of the soldiers were awarded lands for their service and settled in the Wicklow area. They brought their low-slung hounds with them that they bred with local terriers to develop what is now a distinct breed known as the Glen of Imaal Terrier. The breed was originally developed to be a multi-purpose hunter and was utilised to hunt foxes, badgers, and rodents. Its tenacious spirit also took the breed to participate in organised dog fights. As well, the Glen of Imaal Terrier fills the role of a turnspit dog, where it worked a treadmill-like contraption (also called a dog wheel) to turn meat over fires while cooking. The Glen of Imaal Terrier was recognised by the Irish Kennel Club in 1933, making it the last Irish terrier to be recognised in Ireland. Then in 1975, the British Kennel Club also recognised the breed, while the American Kennel Club followed suite twelve years later in 1987. Today, Glens are gaining popularity as it proves to be an excellent family dog while retaining its traditional role of a silent hunting companion. The Glen of Imaal Terrier has a short stature, but big in size. It is often referred to as "the big dog on short legs" since its body is longer than its length with a standard height of 30 to 36 centimetres, and a weight of 35 to 40 pounds. Its form is attributed to a structural disorder called achondroplasia (dwarfism). However, this genetic anomaly gives the breed a nice and gentle appearance. The Glen of Imaal Terrier has a large head, strong foreface, and a muzzle that tapers to the tip of its black nose. This dog breed also has a well-defined stop and medium-sized brown eyes that are set well apart to add to its charming appearance. Its ears are small and are half-prick (folds over) when Glens are happy or alert. Its distinctive feature is its front feet, which are turned out. When it comes to its coat, the Glen of Imaal Terrier is outfitted with a medium-length double coat. Its topcoat is harsh to touch while the undercoat is soft. 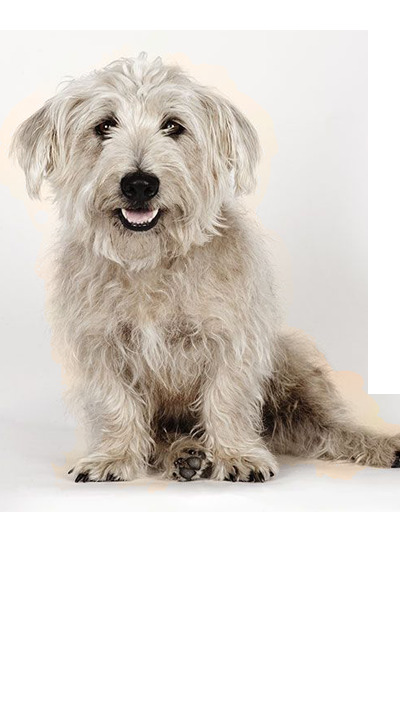 The accepted breed colours for the Glen of Imaal Terrier are blue, brindle and wheaten. Glens don't shed much and only needs to be brushed every week to keep its coat in good condition. It is also recommended to hand strip the Glen of excess hair from its hard coat at least twice per year. Also include the following in the usual grooming regimen: nail trimming, ear care and dental hygiene. If you're looking for a brave, intelligent and agile dog breed that is not noisy, then the Glen of Imaal Terrier is for you. Glens are fearless, protective and focused but at the same time, they are playful and docile family companion dogs especially with children. They are generally a quiet breed and were highly prized for hunting in silent swiftness. Glens also have a stubborn streak that is typical of a terrier breed. However, they are intelligent dogs and respond well to firm instruction. Although of even temperament, the Glen doesn't incite fights with other dogs, but will not back down with one either. When it comes to children, the Glen of Imaal Terrier is good-natured and well-behaved. However, it is important that interaction between the two is supervised to make sure that neither gets hurt unintentionally. It is well suited to any homes, whether in a large rural home or a small urban home. Glens must be kept on a leash when outside. Some would argue that even a fence will not be able to stop this dog when its prey drive kicks in. With this said, Glens will not hesitate to give chase to smaller animals. Although, it can live with cats and other dogs if they were raised alongside the breed. A typical serving for an adult Glen of Imaal Terrier is 1.5 to 2 cups of quality dry dog food daily, divided into two meals – morning and afternoon. One can never be sure about the real nutritional need of a dog unless you consult with a veterinarian. It is important to recognise that each dog has different dietary needs depending on its size, age, health, metabolism and activity level. For example, a typical daily calorie needs of an adult Glen that weighs 35 pounds. The Glen of Imaal Terrier deserves only high-quality food formulated for its specific size. Choose dog foods that are not only popular but are recommended by a veterinarian. Glen of Imaal Terriers are very healthy breed in general with a lifespan of 10 to 14 years, but still, they can be predisposed to a few genetic problems. These genetic issues include Hip Dysplasia, Elbow Dysplasia, Progressive Retinal Atrophy, Hypothyroidism, and Von Willebrand's Disease. However, take note that not every veterinary consultation is a genetic problem. Glens can also suffer from allergies, skin itchiness and related ear infections. So if you find anything that is not normal with your Glen, immediately consult a veterinarian. The Glen of Imaal Terrier is an intelligent and energetic dog breed, and as such it will need an adequate amount of physical and mental stimulation. Take Glens out for a walk or let them play outdoors for at least 30 to 40 minutes. However, make sure that they are always in a safe environment with secured fences. Owning a dog is not as simple as most people think. Once the excitement of getting a puppy wears off, you will be facing financial hurdles ahead if you did not prepare enough funds to raise it. In the end, you may have to give it up for adoption. This can be prevented if you know how much it will cost to buy and raise a dog. To give you an idea, see an overview of potential costs when buying a Glen of Imaal Terrier puppy. On average, the Glen of Imaal Terrier will cost you roughly about £50 to £80 a month to raise. Is a Glen of Imaal Terrier Right for You? The Glen of Imaal Terrier has a short stature, but is big in size. Glens don't shed much and only need to be brushed every week. It is a brave, intelligent and agile dog breed. It is generally a quiet breed, highly-prized for hunting in silent swiftness. 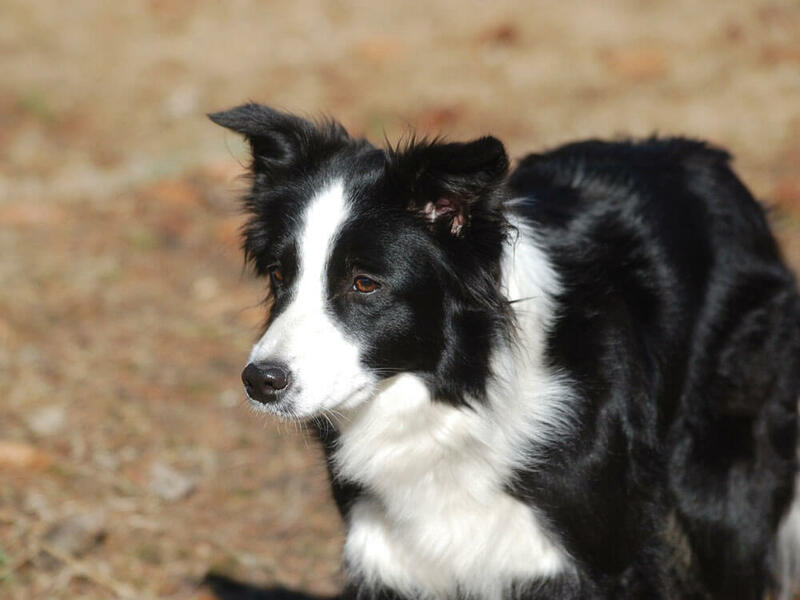 It is an intelligent and energetic dog breed that requires a lot of physical and mental stimulation.